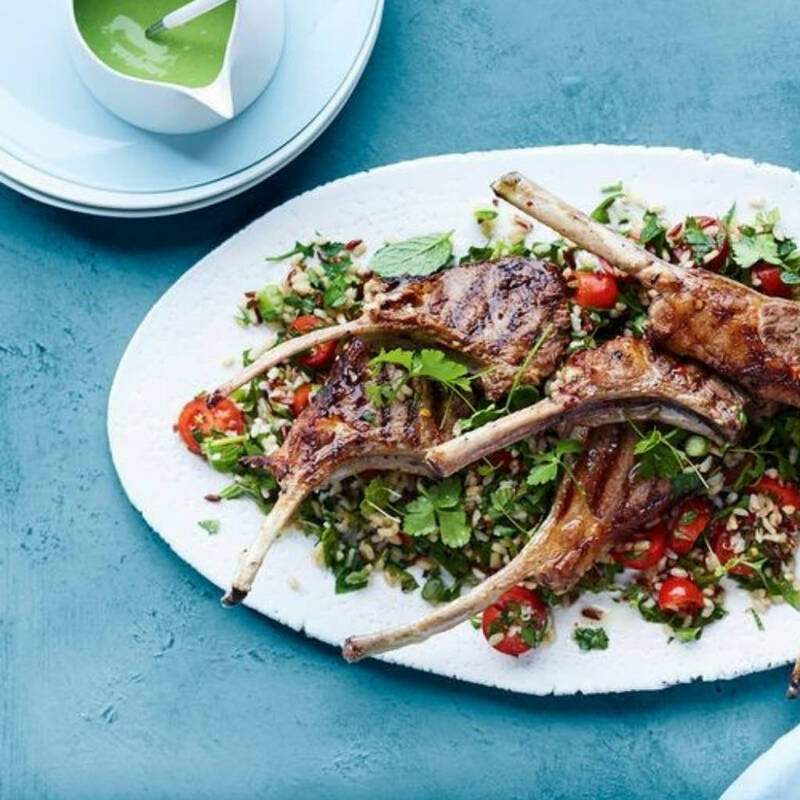 According to Australian Lamb, "No matter who you are, there is one thing we can all agree on this summer. Lamb! 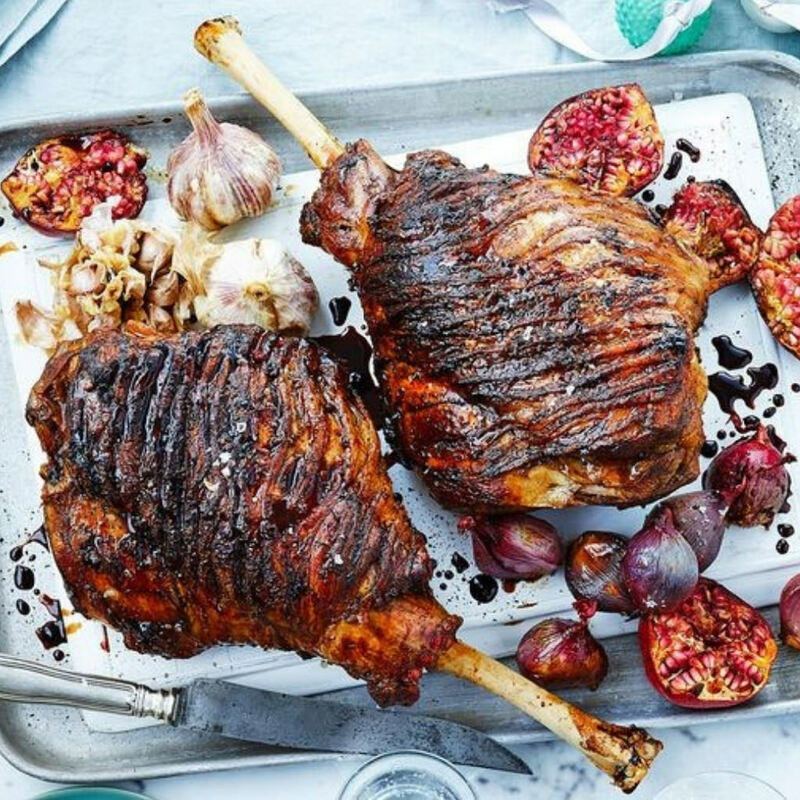 It’s time to get everyone around the table and enjoy some great company, great conversation and some great Australian Lamb. Because You Never Lamb Alone!" Agreed! 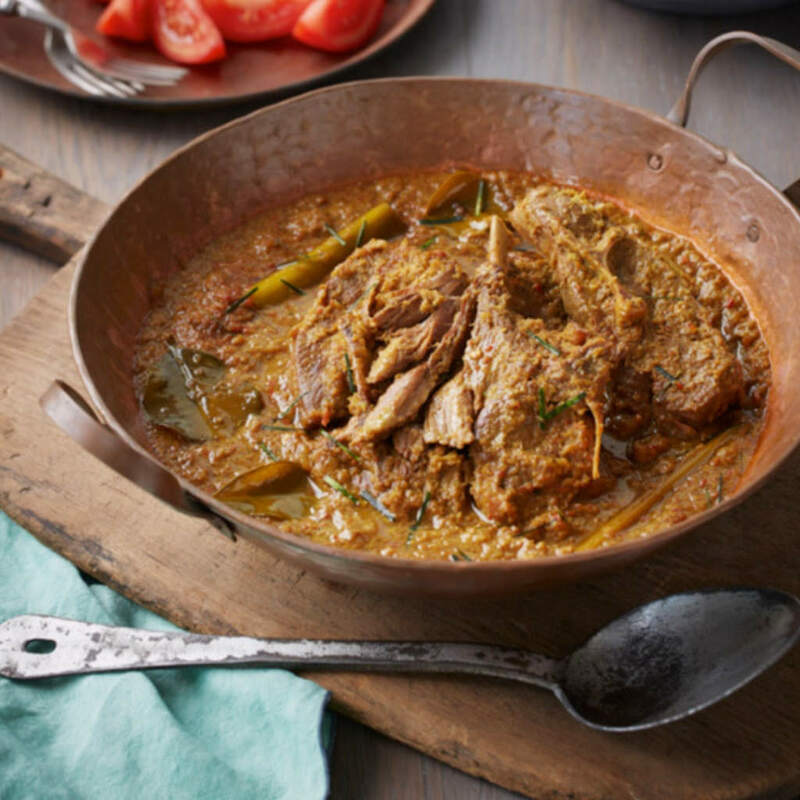 A warm and hearty curry with melt in your mouth meat! Best served on a bed of rice. Amazing flavour combinations make this dish a real winner! 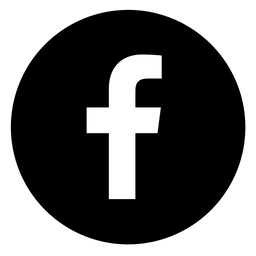 Barbequed lamb and chips – a consistent winner! Ready in a snap and excellent for leftovers the day after! 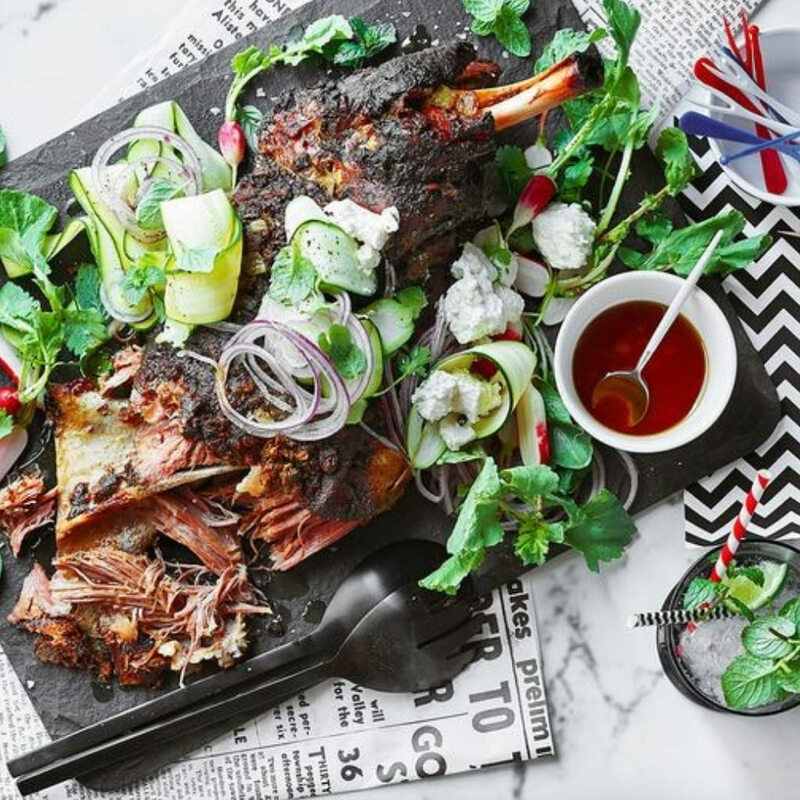 Is there anything better than slow-cooked lamb teamed with a fresh and fragrant salad? I think not! 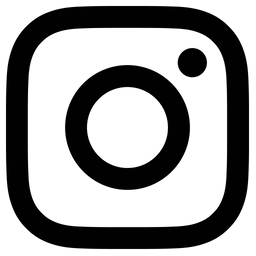 According to lovers of chicken, "There are few things quite as delicious and comforting as a perfectly roasted chicken. It’s the sort of food that connects people around the table for a long lunch or dinner" It's comfort food at it's best! A timeless dish, loved by all for its versatility. Basil is lovely in place of the chives, as would be parsley or thyme. 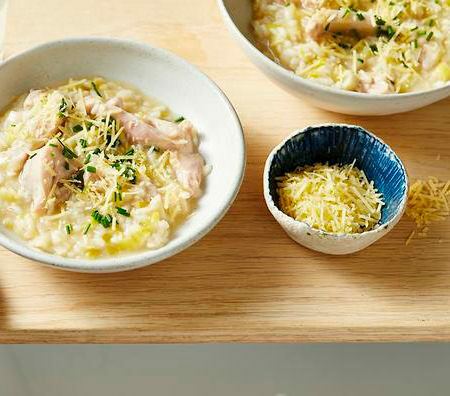 But whatever you do, don’t skimp on the parmesan – its sweet-salty richness adds flavour to a risotto as no other ingredient can. 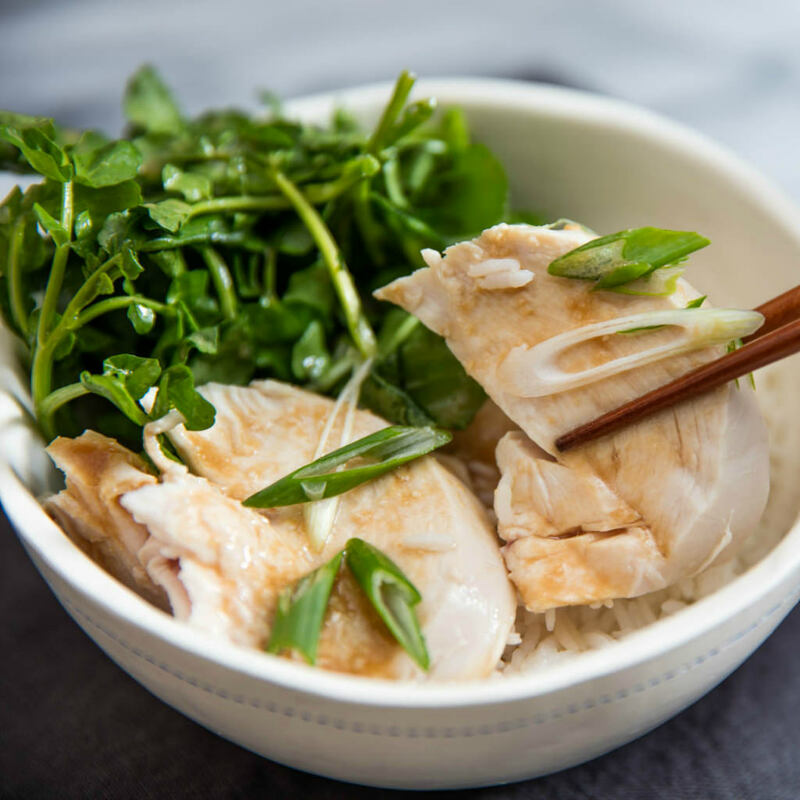 Poached chicken may not be as popular as fried, roasted, and braised chicken, but when it’s done correctly, its tenderness and juiciness are unmatched. 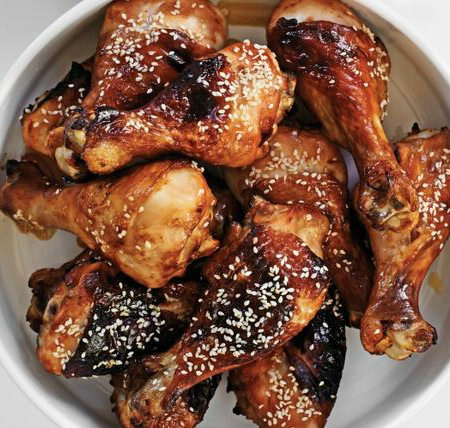 These sticky sesame chicken drumsticks taste delicious and are super simple and quick to prepare. Better still, the kids love them! 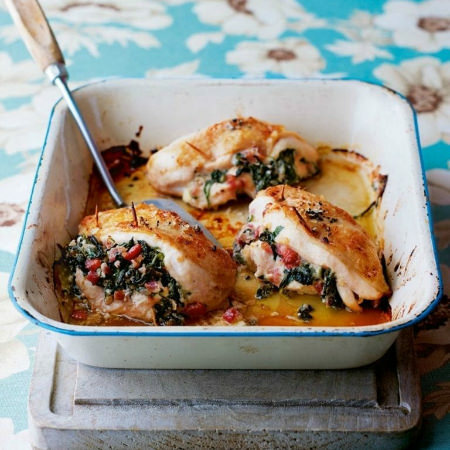 Rick Stein’s summery lunch dish should be started a day in advance to allow for the juices to be absorbed back into the chicken for the ultimate succulent cold chicken lunch. 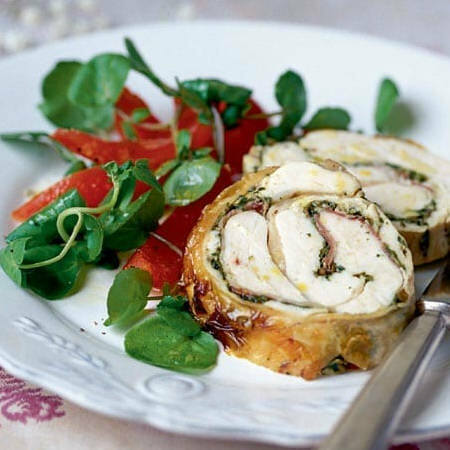 The tasty Italian-style stuffing, made with spinach and pancetta, ensures that the chicken stays succulent. 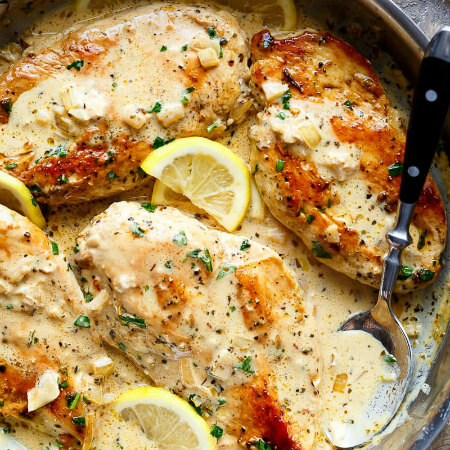 Lemon Chicken Scallopini with Lemon Garlic Cream Sauce is THE ultimate chicken recipe! As the nights turn colder, only comfort food will do. 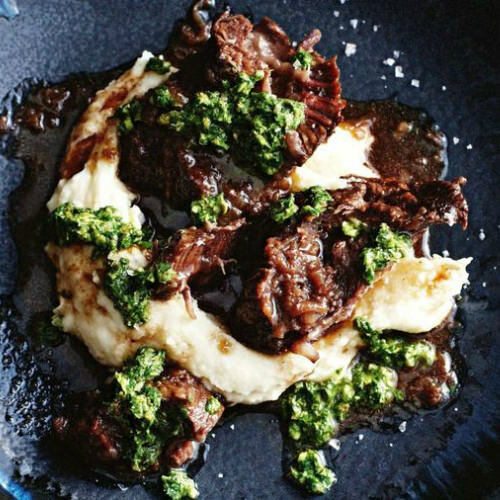 Warm up this winter with meltingly tender beef cheeks and creamy mashed potato topped with tangy salsa verde. 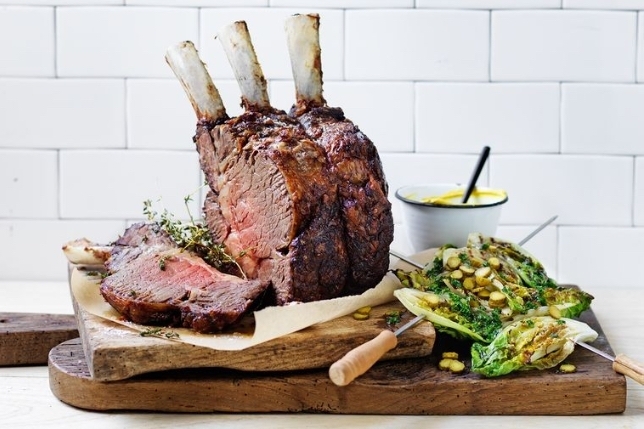 Nothing says ‘wow-factor’ quite like this roast rib of beef for dinner. 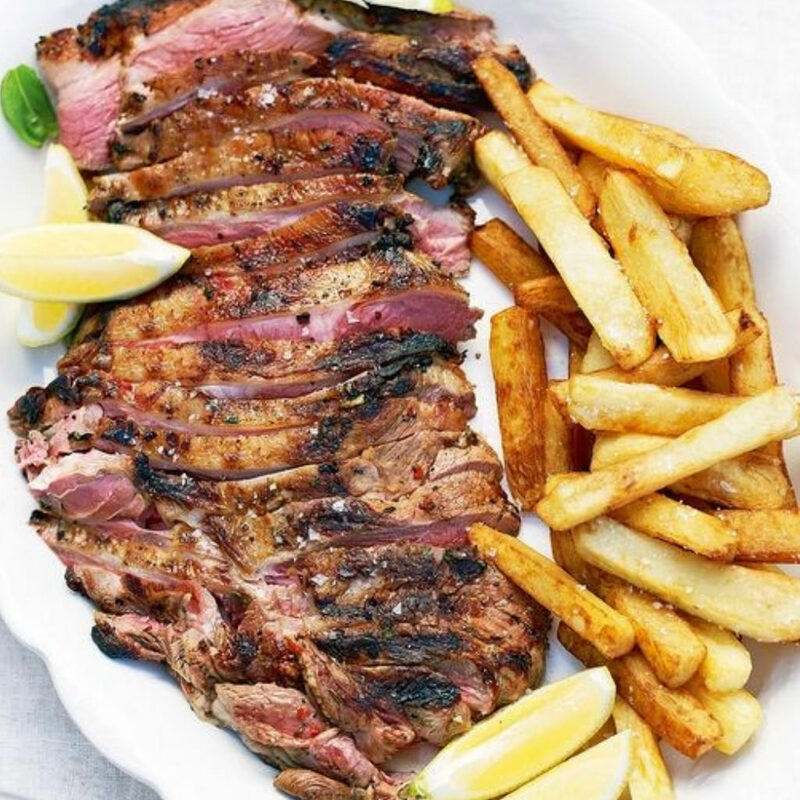 Everyone loves a BBQ steak when it’s cooked to perfection. 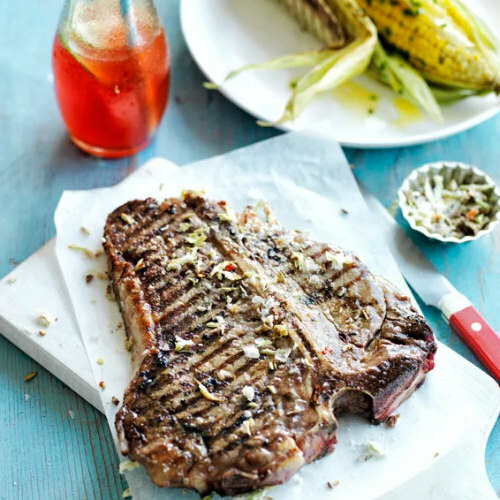 Follow this recipe, paying attention to bringing the steak to room temperature prior to cooking and allowing the steak to rest once cooked, and you’ll have a deliciously succulent T-Bone steak! An easy and nutritious family meal. 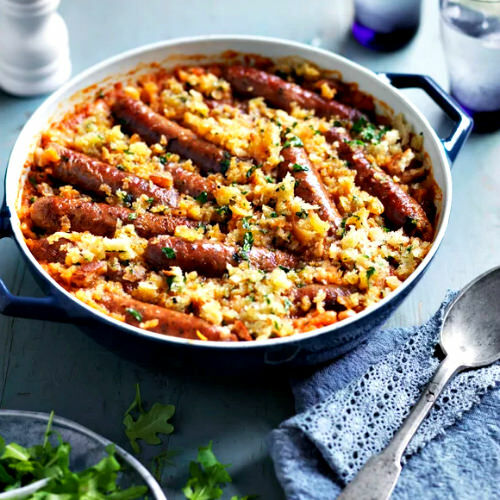 This dish is full of flavour and you can use whatever sausages you like! A comfort food like no other! 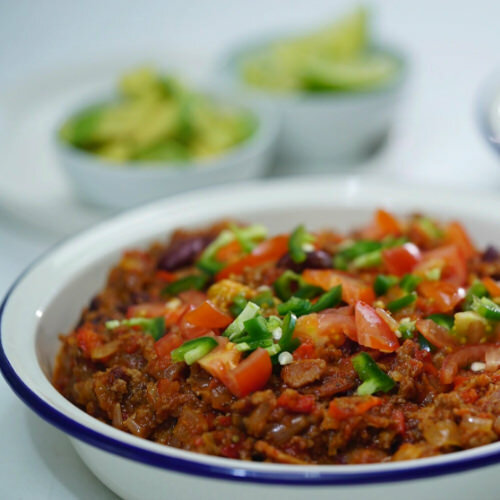 Chilli con carne is quick and easy and a super nutritious meal to serve the family, and makes for great leftovers the next day. Serve in tortillas for a variation! 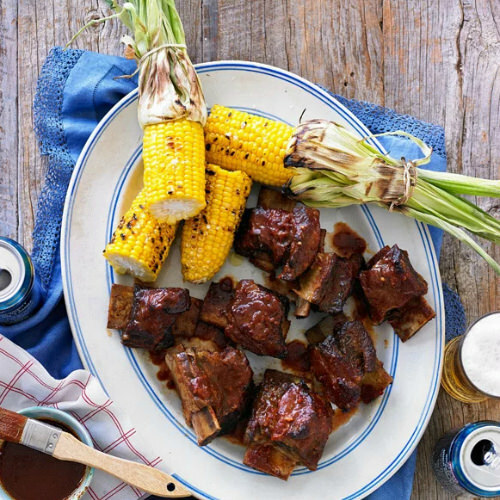 A delicious smokey Texas style beef ribs that you can put together in no time! You’ll have everyone coming back for seconds. 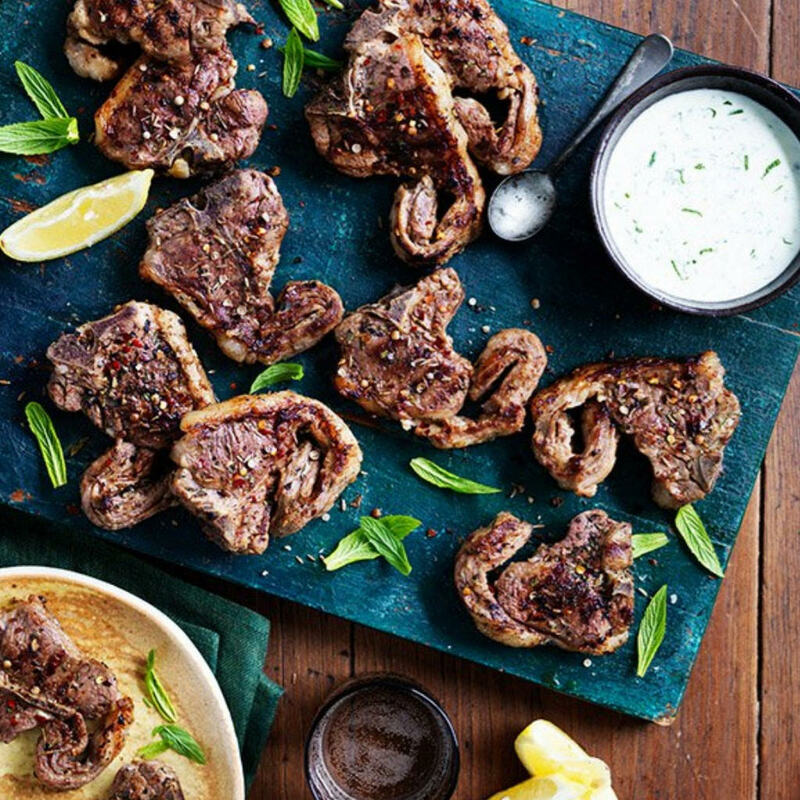 Serve with charred corn, salad and a cold beer!